We have all types of yoga and are constantly expanding our class types. We offer Extra Gentle/Chair, Gentle, Hatha Flow, Moderate Hatha, Advanced, All Levels, Ashtanga, Restorative, Yin, Christian, Aerial Fit, Yoga Burn and guided meditation. We have AMAZING deals with our membership packages. Click HERE for membership information. 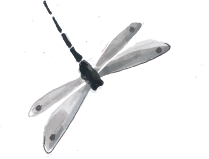 Become a Dragonfly member and enjoy lots of wonderful benefits!! Many of our clients SKYPE or Facetime us when they are out of the area. This approach is much more personal as clients can see Annette during the consultation. This is telemedicine/holistic medicine cutting edge.